They say baking is a science and you have to follow a recipe to a tee if you want to whip up the perfect cakes or pastries. Unfortunately, a lot of recipes keep the secrets to a great cake, a secret. 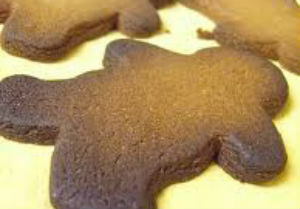 Sometimes, you have to find out for yourself the techniques that will yield the best baked goodies. Here are some baking secrets to help you channel your inner Martha Stewart. For a moister and healthier cake, substitute portion of oil required with unsweetened applesauce or plain yogurt. The ideal measurement would be 1:1 or 50/50. For example, use 1/2 cup oil and 1/2 cup applesauce for a recipe that calls for 1 cup oil. 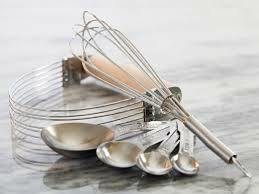 Prevent mess and wastage when using sticky ingredients such as molasses, honey, peanut butter, by spraying the measuring spoons or cups with non-stick spray. The ingredients will come out easier. To avoid under or overdone goodies, make sure your oven is pre-heated to the recommended temperature. Also check that your oven is properly calibrated even before you start. Better yet, get an oven thermometer so can be sure that you're baking in the correct temperature. Make sure the rack is in the center (unless directed differently) as too close to the top or bottom can cause over-browning. Also keep the tin in the center. If baking more than one pan at a time, keep them at least 2″ away from the walls of the oven and from each other. 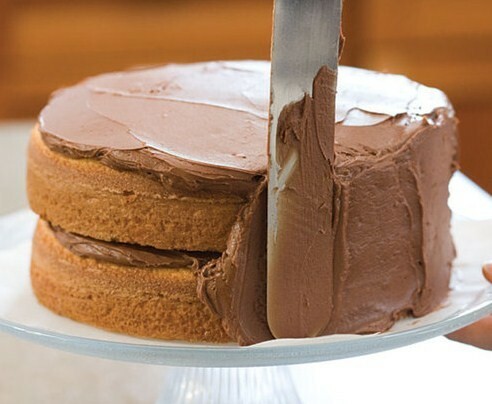 The secret to easily remove a cake from the tin is by cooling it completely. Place the pan on a wire rack and leave in a corner away from the oven or other sources of heat. Gently insert a knife between the outside of the cake and the inside of the tin. Run it along the edges to loosen things up before turning over. Never frost a warm cake. Let it cool completely then dust the surface lightly with a pastry brush to remove any loose crumbs. For a clean, smooth and professional-looking cake, apply a "crumb coat" first and let it chill before slabbing on a second layer. 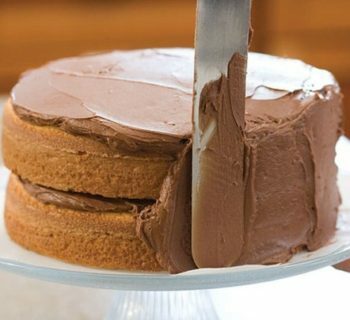 We hope that these simple baking tips will help you create perfect desserts!